petition: Dolce & Gabbana, Ditch the Fur! Dolce & Gabbana, Ditch the Fur! Georgio Armani, Gucci, Michael Kors, Vivienne Westwood, Stella McCartney, and Calvin Klein have all gone fur-free, and now even Versace is considering it. When it comes to the world's major fashion houses, going fur-free seems to be the latest trend. It's only a matter of time before fur in fashion is a thing of the past, but the sooner it happens, the better. That's why we're calling on Dolce & Gabbana to get on board and ditch fur too. 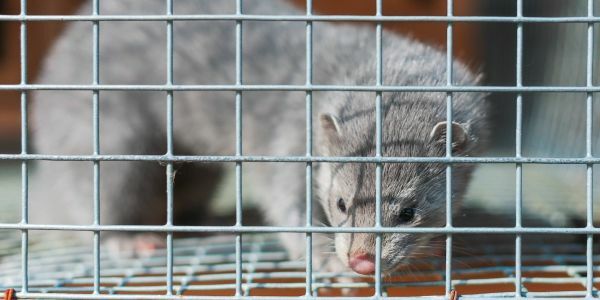 Abandoning fur is especially crucial for Dolce & Gabbana considering a new PETA exposé on mink fur, which is commonly used in the brand's clothing. The organization captured disturbing footage showing minks in a fur farm cramped in dirty cages, with wire flooring digging into their feet, and pools of feces, filth, and maggots underneath them. The cramped conditions often causes fights to break out amongst minks, leading to injury and death. Dolce & Gabbana needs to get with the times. Cruelty is out, fur-free fashion is in. Please sign and share this petition demanding that Dolce & Gabbana commit to going fur-free and auction off remaining fur items with proceeds going to animal rights organizations. Maison Margiela’s John Galliano is the latest designer to go fur-free. Please share this petition, and let's keep the pressure on Dolce & Gabbana to do the same!